For decades, Zaha Hadid dazzled the world with striking, over-the-top buildings that were designed to be noticed. Her elegantly flamboyant creations seemed to stand out more as a force of nature than a man-made structure. While it’s been two years since Hadid’s untimely death, a steady drip of her final projects are becoming realized around the globe. 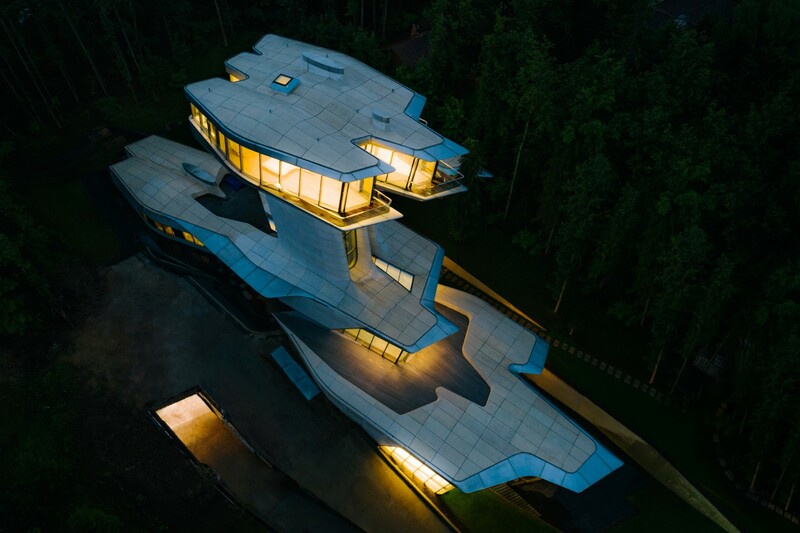 Most recently, the Capital Hill Residence (Hadid’s only private residential design) was finished in Russia. 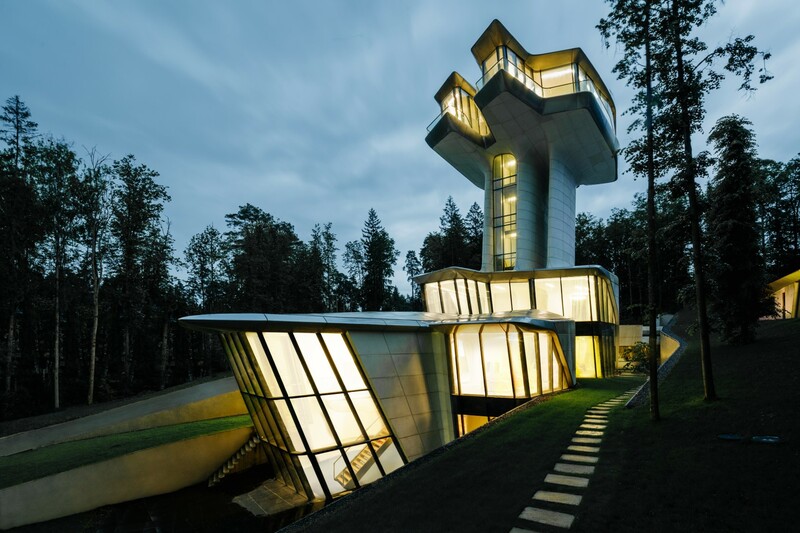 Yet, unlike her other structures, which were almost exclusively situated in urban environments, the Capital Hill Residence is a neo-futuristic building that stands apart from the thick forest of trees it’s surrounded by. At first glance, Hadid’s design appears much like a spaceship that landed and, in an attempt at camouflage, submerged itself within the forest floor. At second glance, the viewer’s opinion will likely remain unmoved. But it’s upon closer inspection that the fine details begin to show themselves, making the building, like all of Hadid’s designs, something to be studied.